New Zealand golfer Michael Hendry has propelled himself into Olympics contention after four top 10 finishes in his last four events on the Japanese tour. Ryan Fox, ranked 190th on this week's list, looked odds on to join Lee in Rio, but Hendry's recent form has seen him rise more than 100 places to 207th. Olympic qualifying ends on July 11 and suddenly this weekend's competitions have added significance for Hendry and Fox. After finishing tied seventh with fellow Kiwi David Smail at the Shigeo Nagashima Invitational, Hendry will compete in the Japan PGA Championship. Meanwhile, Fox, who didn't compete last weekend and dropped four places in the rankings, will play in the Slovakia Challenge on the Challenge Tour in Europe. Fox is in good form going on his performances in his last two events, as he finished tied seventh and then second at the Natejo Open and Scottish Hydro Challenge respectively. Prior to his seventh placed finish at the Shigeo Nagashima Invitational, Hendry has finished tied fifth at the Mizuno Open, second at the JGT Championship Mori Building Cup, and again tied fifth at the HANDA Global Cup. 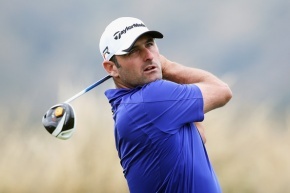 Hendry was ranked 340th before his recent four top 10 finishes. Golf returns to the Olympics this year for the first time since 1904, with each country allowed no more than four players. Lydia Ko and Liv Cheng are in line for New Zealand's women's team.